Are you looking for a new, American-made car, truck, or SUV, but aren’t sure which auto brand you should choose? Our dealership has put together a comparison between the two most popular American automakers: Chevrolet and Ford. In this article you’ll learn more about each brand to help you make a more informed decision. Chevy enthusiasts have Louis Chevrolet to thank for innovating this iconic auto brand back in 1915, and pushing forward to become the best-selling brand in the U.S. in 1929. Responsible for producing classic models—like the Corvette and Bel Air, and current favorites, like the Cruze sedan and Volt plug-in hybrid—Chevy has continued its legacy of making vehicles for every type of driver. Today, Chevrolet offers many modern technologies and amenities that drivers need, like the intuitive Chevrolet MyLink® infotainment system, Teen Driver Technology, and more. Not long after Henry Ford founded the Ford Motor Company in 1903 did he introduce the model that would change the auto industry forever: the Model T, which was, at the time, the world’s most affordable and durable vehicle. Since then, Ford’s popularity has only skyrocketed, producing the F-Series line of trucks in 1948 and the Mustang muscle car in 1964. 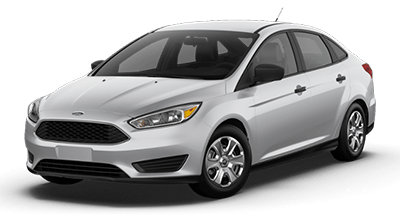 Ford is currently known for models such as the Focus RS sports hatchback and Escape SUV. When it comes to awards and accolades, Chevy comes out on top in a wide-range of categories, including safety and innovation. While Ford does have some critic and consumer praise, like being named the 2016 ‘Best Truck Brand’ by U.S. News & World Report, the awards and accolades simply cannot compete with what Chevrolet has been honored with. From the efficient Chevy Sonic to the spacious Chevy Impala, you couldn’t ask for a better lineup of hatchbacks, sedans, and compact cars than what Chevy has to offer. Take a look at our Chevy Cars Showroom to learn more about the models at our Chevrolet dealership in Merrillville, IN. If you’re in the market for a speedier model, browse through our Chevy Performance Cars Showroom. Whether you’re looking for a pickup for personal projects or to take on a tough worksite, you’re bound to find your perfect model at Mike Anderson Chevrolet of Merrillville. Check out the Chevy Truck Showroom for more information. Do you need extra room for your expanding family or weekly home projects? A Chevy SUV is a great way to get the added space you need while still being able to enjoy the drive. Explore our Chevy SUV Showroom for more information. On top of an outstanding new vehicle inventory, we pride ourselves on delivering exceptional customer service in every department. For more information on our Chevy dealership in Merrillville, IN, send us a message or call (219) 947-4151.